Christmas Tree In The City Center. 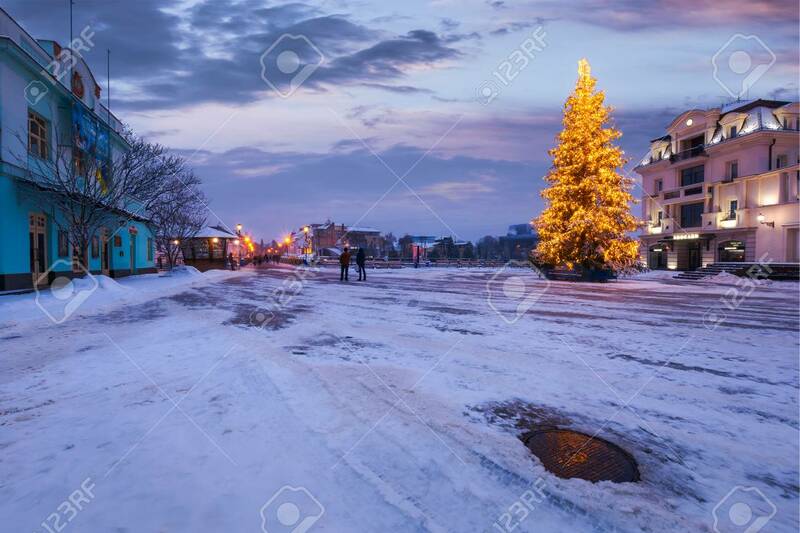 Lovely Postcard Of Uzhgorod,.. Stock Photo, Picture And Royalty Free Image. Image 113415185.